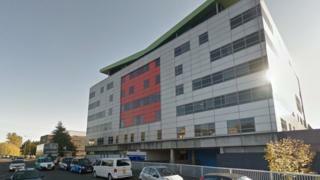 Two premature babies have died after contracting a blood stream infection at a Glasgow hospital. NHS Greater Glasgow and Clyde confirmed it was initially investigating three cases in the neonatal unit at the Princess Royal Maternity Hospital. But it said two of the “extremely premature” babies have since died and the infection was “one of a number of contributing causes” in both deaths. The third premature baby required treatment and is in a stable condition. NHSGGC confirmed an incident management team was set up on 24 January after the staphylococcus aureus bacterium was detected. Dr Weinhardt said in cases where people were vulnerable to infection, it can cause serious infection. Dr Alan Mathers, chief of medicine, women’s and children’s service, said national guidance sets out that an investigation should be triggered when two or more cases of the same type of bacteria are found. In this case an incident management team meeting was convened last Thursday. Dr Mathers added: “The IMT began their investigations into possible linkages between the three cases and sent samples for testing. An incident management team is made up of specialist clinicians, infection control doctors and nurses, occupational health clinicians, and staff from estates and facilities. The health board is also awaiting the results of a separate investigation into the deaths of two patients at the Queen Elizabeth University Hospital after they contracted an infection linked to pigeon droppings.